Circus Circus Las Vegas really knows how to celebrate Halloween. Not only do they have "FRIGHTDOME", but this year they also have much more ! This Halloween season the 13th floor at Circus Circus is being transformed. 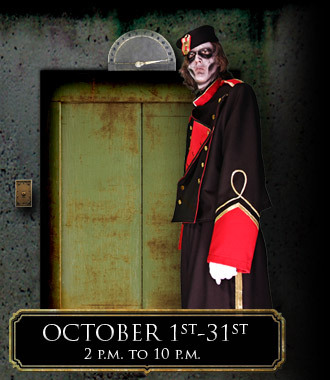 Guests will board a haunted elevator that immediately transports them to the 13th floor and go on a guided tour through 13 unique rooms on the floor. The tour lasts approximately 13 minutes. General tickets admission are $13 and it's not appropriate for children under the age of 12. From October 1st to October 31st.